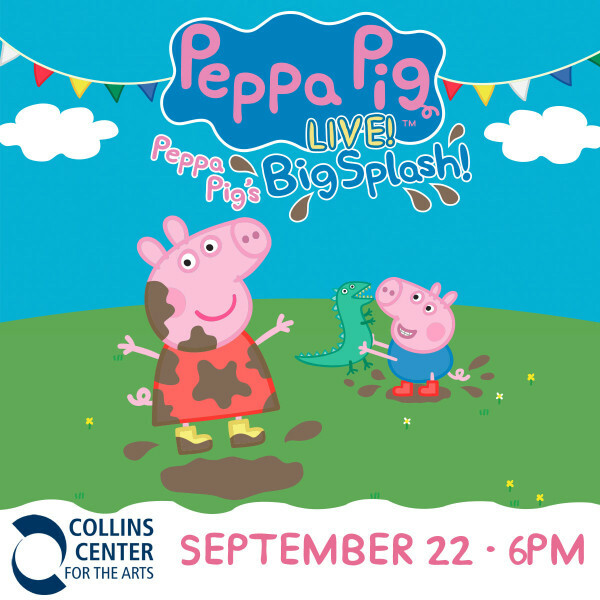 Win tickets to see Peppa Pig Live at the Collins Center! If you have small kids at home then chances are pretty good that you know everything there is to know about Peppa Pig, the adorable British animated children’s TV show. Waterfront Concerts will be presenting the popular live performance, Peppa Pig’s Big Splash! on Thursday, September 22nd at 6:00 pm at the Collins Center for the Arts in Orono. We are giving away TWO sets of four tickets to two lucky families for a night of theatrical fun! If you are looking to purchase tickets then check out this site here. Want to get a set of four tickets, courtesy of Waterfront Concerts and the Bangor Daily News? Simply enter the contest below between now and 3 p.m. Friday, and you’ll get your chance to win! Your tickets will be at will-call on the day of the show.